About 3 out of every 1,000 babies are born with a port wine stain. Its name accurately describes this type of vascular birthmark, as it looks as if red wine was spilled or splashed on the skin. Port wine stains may start out looking pink at birth, but they typically turn reddish-purple over time. Although port wine stains are not considered a health risk, they can be a significant cosmetic concern. Port wine stains develop when an area of skin doesn’t get enough supply of nerve fibers. Nerve fibers are what keep your blood vessels narrow. Therefore, without them, small capillaries under the skin carry a larger amount of blood flow and they expand. This creates a reddish “stain” under the skin. Unfortunately, port wine stains typically occur on the most visible areas of the body, such as the face, neck, shoulders and chest. Port wine stains are not preventable. Port wine stains do not go away on their own. Port wine stains typically darken and get larger as the child grows. Port wine stains CAN be treated. Early intervention is often more effective. What is the primary treatment for port wine stains? Laser treatment is typically the most effective treatment for lightening or clearing port wine stains. In most cases, a series of treatment sessions are required to obtain ideal results. Improvements can range from 75% to 100% using laser therapy, but your success is based on the severity of the birthmark and where it is located on the body. Why should treatment be done early? Treatment for port wine stains can be done at any age. However, early intervention can make a significant difference in the outcome. During infancy, the child’s skin is more receptive to treatment and more effective clearing can be achieved. Treatments can begin as early as several days of age. This eliminates the cosmetic concern for a child long before they enter school or have to suffer the social and emotional drawbacks of a visible port wine stain. What can we expect immediately after treatment? There is generally some bruising following each laser treatment session, which will subside within 1 to 2 weeks. Rest assured that the overall risks for laser therapy is very minimal, even for infants. At Beverly Hills Center for Hemangiomas and Vascular Birthmarks, we have an elite plastic surgeon who specializes in removing port wine stains. We realize that choosing an elective procedure for your infant is a major decision. Therefore, we will take ample time with you to explain the treatment plan and evaluate your child’s specific needs. 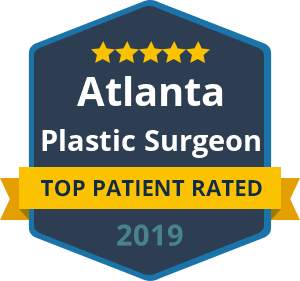 Dr. Talei is extremely knowledgeable in vascular birthmark treatment, and he implements the most proven techniques available. For more questions about your baby’s port wine stain, please give us a call.